When 16 year old Jordan Tripp witnesses a dramatic flash in the sky -a phenomenon unnoticed by everyone else in a crowded school playground- it's just the first of a bizarre series of incidents that threaten not just Jordan but the entire world. What is the strange influence that causes his teachers to forget their subjects, his friends to turn against him, and strangers to attack him for no reason? What is happening to the police, who are painting leaves on their faces and calling themselves Gardeners? And what are the invisible creatures that stalk the streets of London at night, leaving piles of bones behind them? 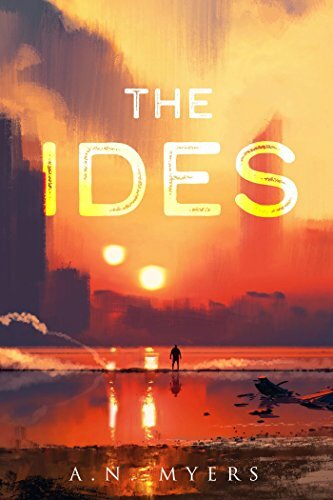 As a sinister force tightens its grip on an increasingly insane and servile population, Jordan manages to contact others who are immune to the Influence- the Ides. Retreating to an isolated farmhouse, the motley group struggle to survive the brutal crisis of the Fugue, an event that threatens to transform the Earth and enslave humankind forever.